Uglyworld #796 - I Loves The Colours, originally uploaded by www.bazpics.com. 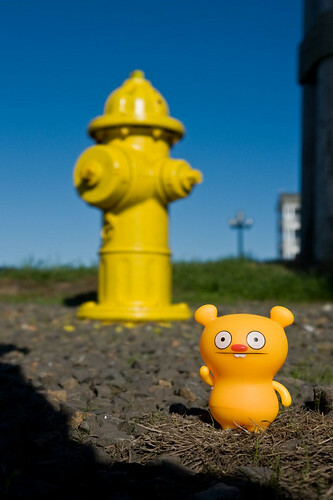 Trunko has got so used to seeing red fire hydrants while he's been in America that he was amazed to find this one painted yellow. "I loves the colours, is the firsts one I see's in awesome yellows!" he explained to everyone who stood around wondering what the excitement was all about.